If you've ever been inside a JoAnn's Fabric store, you know that there are literally thousands upon thousands of fabric patterns to choose from. The selection can be overwhelming and when you're a busy Etsy shop owner with a ten month old in tow, it is nothing short of an art form to be able to get in, get out and in the meantime, occasionally find a pattern in the haystack. Cue Lindsay, the gorgeous and talented owner of Precious Smiles and Luna Lilac Paper Design. After stumbling upon her shop during one of my many Etsy binge sessions, I fell in love with Lindsay's taste in patterns, her obvious sewing talent, and her careful eye for color and design. 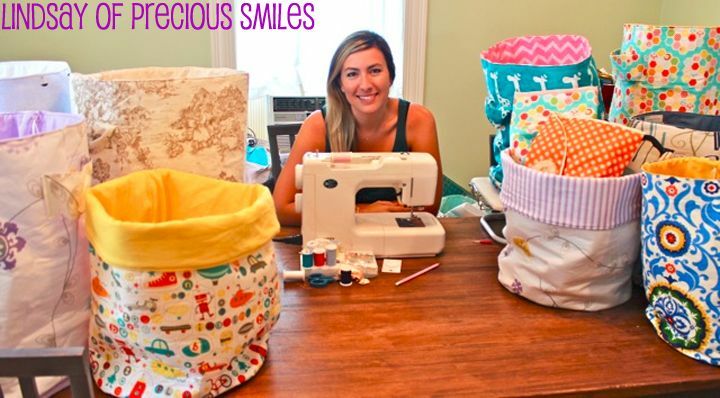 Her fabric buckets make "functional" look trendy and her newborn hats and diaper clutches are perfect presents for any new mom. I asked Lindsay a couple of questions about her work over email and was thrilled when she offered a 15% discount for me to share! How old were you when you got your first sewing machine? Shockingly, I didn’t get my own sewing machine until about 5 years ago. It was given to me by my Aunt who does a lot of garage sale shopping. She found me a pretty decent sewing machine that is definitely ancient! It still works great though and I love it! What was the first thing that you learned to sew? I first learned to sew from my childhood best friend’s mother. She was like a second mother to me. She taught us to use a pattern and make doll clothes on the sewing machine. Before that, I would use my mom’s sewing box and hand sew all kinds of things out of old clothes and socks. 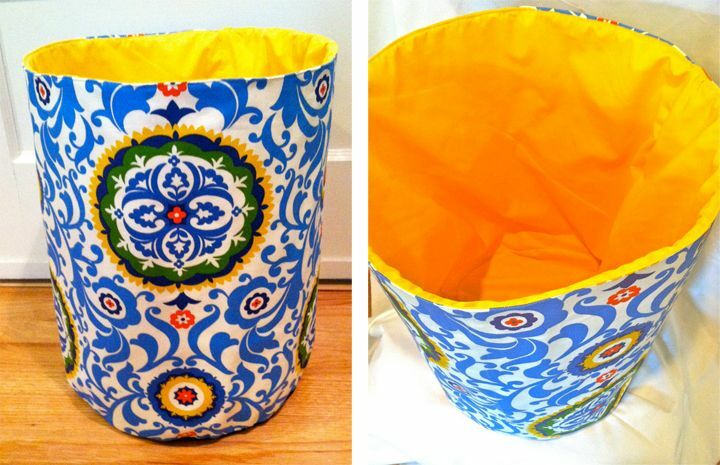 One of Lindsay's gorgeous fabric buckets in my favorite pattern! What are the most important things that your crafts have to include? I think of my friends and family and the rooms in their homes or their children and that's how I create a lot of my product designs. Also, I spend tons of time browsing fabric designer websites and picking out fabric combos and from there I decide what to make out of it. Where do you love to shop for supplies? I spend A LOT of time at JoAnn’s Fabrics buying the little things (thread, new needles, buttons, etc.) For my fabric, I go to the designer's pages and spend hours browsing and marking fabrics I like. Two of my favorite designers are Blake Riley and Alexander Henry. Are there any crafty women (or men!) in your life who inspire you? 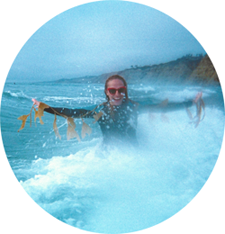 How do you carve out time to craft? Hah. Well.. I have a ten month old son and when he naps it is craft time. However, that usually means I have a pile of laundry taller than me (and I’m pretty tall) and a sink full of dishes. The time I spend creating is very dear to me. My husband is very understanding. He lets me take the time to create and manufacture new products whenever I need and helps to pick up the slack around the house to keep life running. Do you have a favorite snack to eat while you work? The good part about crafting is that it doesn't leave much time for snacking!! I’m so busy lately sometimes I even forget to eat regular meals. The one thing I do need while crafting is my coffee. Around here, in Massachusetts, Dunkin Donuts is king and it is a rare instance you will find me without a cup of coffee next to my sewing machine. What's next for your Etsy store? I’m glad you asked! I am super excited to announce that I recently expanded and created a brand new Etsy shop for my graphic design products: Luna Lilac Paper Design. I only have a few so far but I am hoping to create an array of printable party decorations, invitations, and Thank You cards. Every single thing I make I pour my heart into. It is really a long process between looking at fabrics and choosing from the thousands out there. Then actually designing and putting it together. I get so excited when someone buys something. But I get a little sad to see it go too, because I love all of the things I make. 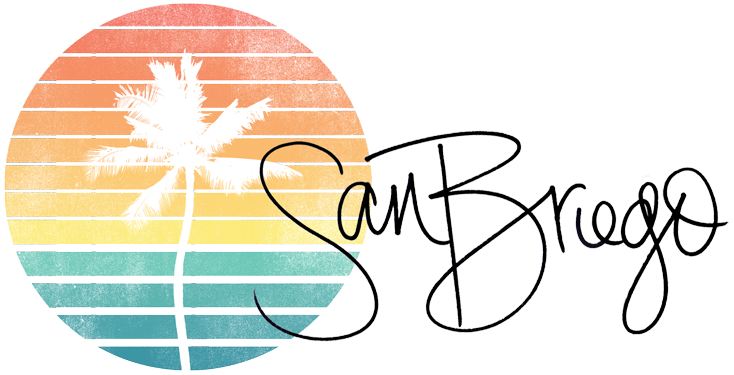 Enter promo code SANBRIEGO15 at checkout for either Precious Smiles or Luna Lilac Paper Design and Lindsay will give you 15% off one item!